Is there a better alternative to Rarify? Is Rarify really the best app in Compression category? Will Rarify work good on macOS 10.13.4? 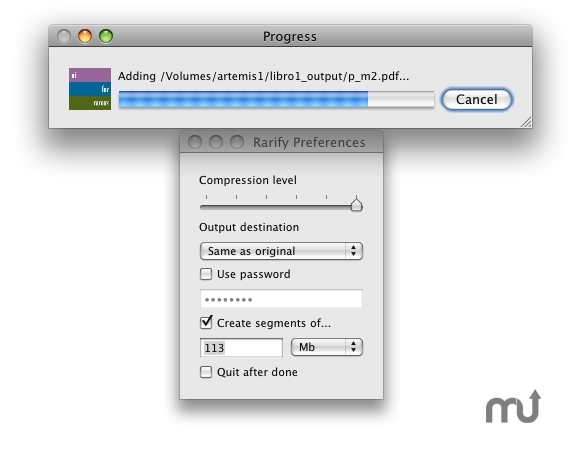 Rarify ... Compress files/folders using the RAR format. Support for the most basic options: create passworded archives, segment volumes and compression level. This app is a simple front-end for the RAR binary. Due to licensing restrictions (RAR is shareware), you must: a) install the RAR binary yourself; b) use the "Update RAR binary..." menu item inside Rarify's application menu. Restored Mac OS X 10.4 support (sorry!). Mac OS X 10.4 or later, RAR.